Lets just clear the statement, Andy at this point on June 16th did not say you should have been here yesterday!!!!!! Well the river season came around quickly and Andy and I were going to spend 4 days fishing the H.Avon. Things got off to a disastrous start with me having my fishing tackle stolen on the Thursday evening as we looked around the river. That saw me spending most of the 16th driving home in an effort to gather some more kit together. As you can imagine fishing for 4 days you tend to take everything and the kitchen sink with you. I won’t bore you with the news or the statistics however no insurance means that it’s straight out of pocket and to the tune of £1000. Other than that day we caught some fine fish however the river is full of weed and spotting them nearly impossible. 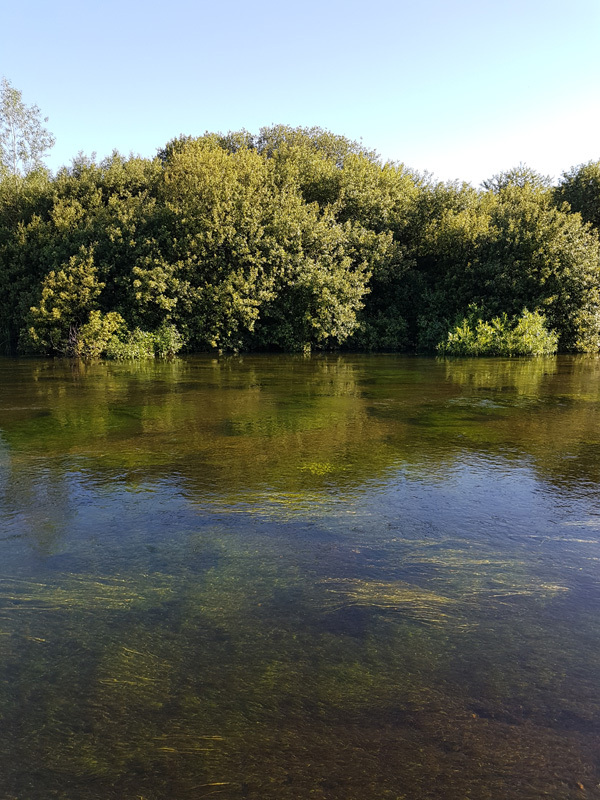 We did spy a couple of huge barbel one morning however they moved away from the shallows as the sun shone high in the sky. The heat was unbearable at times with it reaching 32c and cloudless as well. Like most early seasons it can be a little of an anti-climax and apart from a couple of fish it was. My heart wasn’t really in the fishing as I just wanted to murder someone somewhere. I was pleased Andy was with me as I would have packed up and gone home and sulked about my lost of tackle if he were not sharing the start with me. 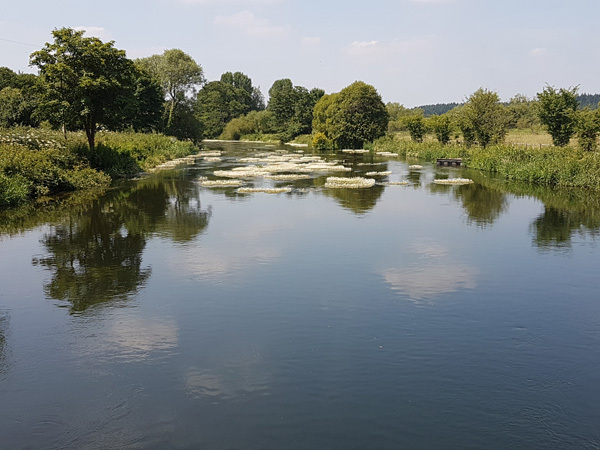 We did fish on with the river looking beautiful. 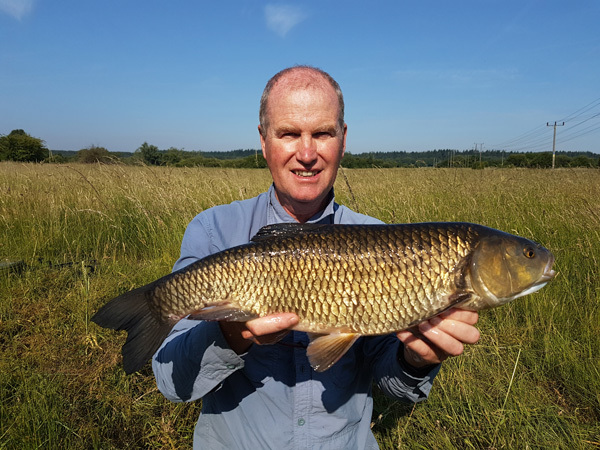 I was lucky enough to catch a couple of big chub at 5lbs 12oz and 6lbs 2oz which I was more than happy with. The largest chub would have been close to 7lbs if it hadn’t been very empty after spawning. It was 22 inches long. 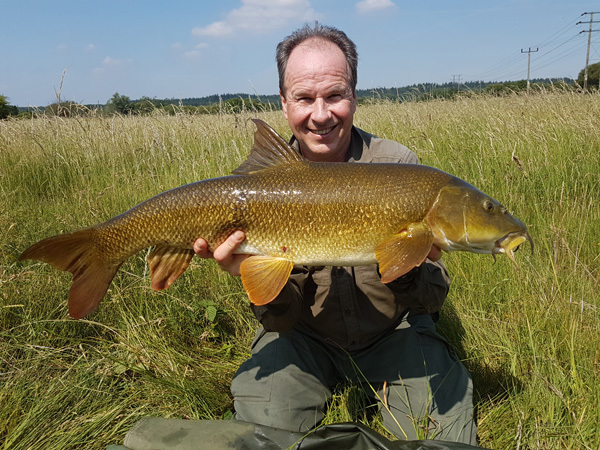 Andy caught a magnificent barbel after moving into a swim I had been prebaiting. We both could see some decent chub in there. I walked up to see him and to stand in the shade under a tree for a while. I fed the chub a few pellets and could see them moving in and out of the swim. 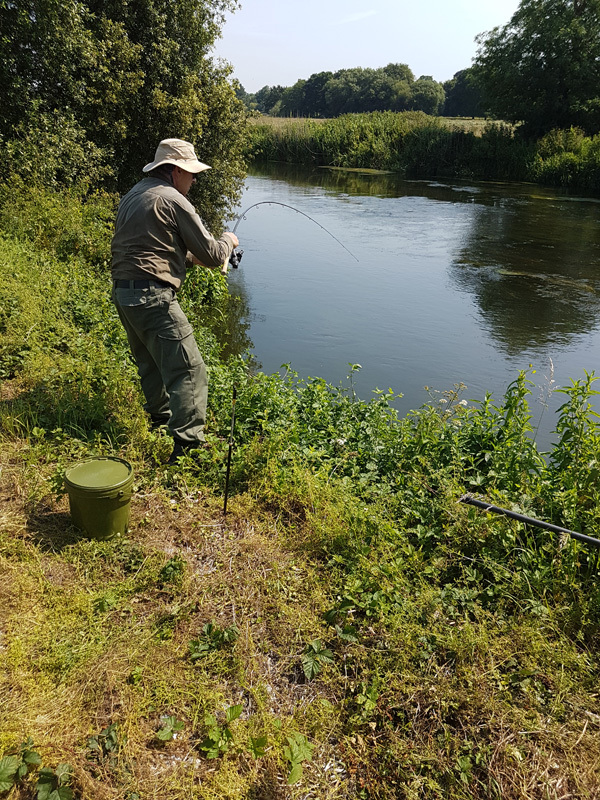 Andy was near his rod when it hooped over and him playing an angry fish. My goodness it gave him a real tussle through a weedbed and the clutch screaming occasionally. I did the honours with the landing net. We both looked down on a beautiful H.Avon barbel. We held the fish in the water while Andy got all the relevant equipment out for weighing and photographing the thing. On the scales it was exactly 13lbs and a pb barbel for Andy. 31 inches long too. So congratulations for him as this was one of his targets for the year. Brilliant!!!!! It seems like we were not the only ones to struggle. This entry was posted on Wednesday, June 28th, 2017 at 8:37 pm	and is filed under Uncategorized. You can follow any responses to this entry through the RSS 2.0 feed. Both comments and pings are currently closed.